Africa’s Land and Family Farms – Up for Grabs? Over the years many Big Ideas have been imposed on Africa from outside. The latest is that the region should sell or lease millions of hectares of land to foreign investors, who will bring resources and up-to-date technology. None of the blueprints has worked, and African farmers have become increasingly impoverished. It is time for Africans to turn to their own histories, knowledge and resources. In the early 1990s, when I was living in northern Ghana, an elderly woman farmer decided that I needed some education. In a rather long lecture, she detailed the devastating effects that the Green Revolution – the first one, which outside experts and donors launched in Africa in the 1960s and 70s – had had on farmers’ crops, soils, trees and lives. She said that the imported seeds, fertilisers, pesticides and tractors, the instructions to plant row after row of imported hybrid maize and cut down precious trees that protected the soils and nourished the people – even the invaluable shea nut trees – had ruined the diverse, productive farming systems that had always sustained her people. When she finished, she cocked an eye at me and asked, with a cagey grin, “Why do you bring your mistakes here?” By “you” I think she meant the people – foreigners and Africans in their employ – who tramp all over the continent implementing big development ideas. These great schemes are generally concocted even higher up the decision-making chain in distant world financial capitals, often by free-market economists, bankers and billionaire philanthropists who wouldn’t know a shea nut from a peanut. At the time, I had no answer to her question. But now, two decades later, I think I do. It’s taken years of patient teaching by African farmers from Zambia to Uganda, from Kenya to Cameroon and Mali. And, most recently, it was all summed up clearly for me by members of COPAGEN, a coalition of African farmer associations, scientists, civil society groups and activists who work to protect Africa’s genetic heritage, farmers’ rights, and their sovereignty over their land, seeds and food. These knowledgeable people have shown me that the answer is quite straightforward: many of those imported mistakes, disguised as solutions for Africa, are very, very profitable, at least for those who design and make them. Not, however, for the average African farming family or even the average African whose interests, they would have us believe, are being served by the big plans for progress and development. There have been many such schemes over the years, nearly all of them promoting the unfettered free market and the re-regulation of the private sector; that is, the regulations that curtailed their cowboy capitalism had to be lassoed and put down so that new ones to protect their profitable stampede over the public sector could be put in place. Hence all those years of structural adjustment programmes in Africa, poverty reduction or alleviation schemes, the first Green Revolution and liberalised trade that cranked open Africa’s doors to the dumping on the continent of cheap imports and subsidised foodstuffs, which stifled African industries and undermined African farmers who, the same free-market gurus paradoxically said, should not be subsidised. These monetarist schemes have helped to make Africa poorer and ever more dependent on foreign donor and investor capital, and thus more vulnerable to still more of the Big Ideas and never-ending plans to profit from Africa while pretending to develop it. So that now, even as Africans struggle to confront the triple whammy of the global food crisis, the financial crisis and climate change – all offspring of the unfettered free-market financial system – the same big planners are at it again with more of the same mistakes disguised as solutions for Africa. These days, they’re blowing a perfectly awful storm all the way across Africa, this one designed to strike right at the heart of the continent – its farms and the families and communities that work them, who account for 70 per cent of Africa’s population. If left to blow itself out, African farmers may find themselves, one day in the not-so-distant future, without land to cultivate, their social structures and communities destroyed. They may find themselves without seed to call their own to share with each other. The crop varieties their forefathers had developed will have been “improved” and then privatised by foreigners who claim exclusive rights over their use. Crucial water catchment areas and vast tracts of woodland needed to combat climate change will have been converted to vast water- and fossil-fuel-guzzling industrial plantations for food and agrofuels, all run by giant agribusinesses and foreign investors, absent landlords and bosses who may never in their lavish lives have soiled their soft hands in a farm field. The latest Big Idea is for massive “foreign direct investment” (FDI) in Africa, and especially African agriculture, by countries, donors, financial institutions, corporations, everyone who’s anyone in the upper echelons of the world’s financial architecture, anyone awash with capital on the look-out for high returns. The spin on FDI is that it offers Africa wondrous “opportunities”, a “win-win” situation, the only way to eradicate hunger and poverty. And just to make sure there’s absolutely nothing impeding the onslaught of investment, so-called donor nations, working in cahoots with their corporate partners, international financial institutions and development banks, are busy helping African governments to “harmonise” laws across the continent to “improve the legal framework for business”, to set up “one-stop shops” for investors, to “secure” landholdings by privatising them, and to open the doors for genetically modified (GM) crops and for the patenting of crop and tree varieties. Across the continent, presidents are toeing the line, going along with the spin, pleading for still more foreign investment, literally putting their countries up for auction. The Tony Blair Foundation, and indeed the former British prime minister himself, invited rich and powerful investors to a meeting of the special Consultative Group on Sierra Leone in November 2009, at which the impoverished West African nation was, in essence, offering up its resources on a silver platter to foreign investors interested in land, diamonds, bauxite … whatever the war-ravaged country still has left to sell. Apparently, however, the investors didn’t need to come to Sierra Leone to stake out their claims; rather than hold the Great Sierra Leone Sale in Freetown, the Tony Blair Foundation decided to host it in London. As if there were no tomorrow, African leaders, well schooled in the neoliberal dogma of the World Bank and Wall Street, are welcoming the land-grabbing “investors” who are flocking to Africa to acquire vast tracts of land to produce food crops or agrofuels, depending on which would be most profitable at any given moment in the market. Some are just speculators, plain and simple, grabbing chunks of Africa as an investment, the new favourite hedge fund. It is almost impossible to know just how much of Africa has been sold or leased out in the past two years because the deals are shrouded in secrecy and happening at such a pace that GRAIN works daily to try to keep up with the deals on its farmlandgrab website.1 More than US$100 billion has been mobilised in the past two years for investing in land, the trick being, according to one analyst “not to harvest food but to harvest money”.2 There are estimates that in this period, 30 million hectares (an area the size of Senegal and Benin together) have been grabbed, in at least 28 countries in Africa.3 Ethiopia is offering more than a million hectares of what it calls “virgin” land to foreign investors. Almost a third of Mozambique is, quite literally, up for grabs. It was just such a land investment deal between the South Korean company, Daewoo, and the former president of Madagascar, which would have accorded Daewoo about half of the country’s arable land for industrial monoculture – production of food and agrofuels for export to Korea – that contributed to the political turbulence and the overthrow of President Ravalomanana, and the apparent cancellation of that particular deal. There is sure to be more political turbulence and conflict, neither of which Africa needs, as Africans realise what is happening to their land and farms. Along with the African governments and chiefs who are happily and quietly selling or leasing the land out from under their own people, those running the show at the global level include the World Bank, its International Finance Corporation (IFC), the International Rice Research Institute (IRRI) of the Consultative Group on International Agricultural Research (CGIAR), the European Bank for Reconstruction and Development (EBRD), and many other powerful nations and institutions. The US Millennium Challenge Corporation (MCC) is busy reforming landownership laws in its member countries and proud to be doing so, as I found out in their Benin office. Such privatisation threatens to destroy traditional communal approaches to land ownership in Africa, but it will make it easier to sell or lease land to foreign investors. Jacques Diouf, Director General of the UN Food and Agriculture Organisation (FAO), originally called the land-grabbing a system of “neo-colonialism”,4 but since then the FAO appears to have joined the ranks of the World Bank et al., who support the land-grabbing and are working towards a “framework” that will promote “responsible” investment to make it a “win-win” situation.5 Which means, of course, that there will be lots of fancy rhetoric, lofty promises, high-level meetings and conferences, and business will continue as usual. Africans lose-lose, investors win-win. Investors never have been, are not, and never will be in the business of helping hungry Africans to feed themselves and to solve the problem of food insecurity, which has been so aggravated by earlier Big Ideas to liberalise trade and revolutionise agriculture. The offshore farming of food or of agrofuels for export, or just as investment, is big business. For profit. 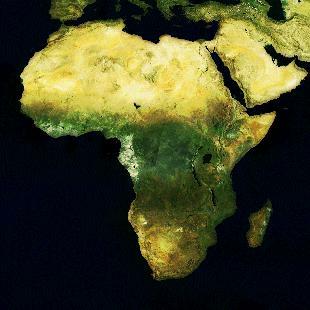 GRAIN and COPAGEN say that those grabbing Africa’s farmland are as diverse as they are numerous. They note the complicity of African governments and say that some African “barons” are also snapping up land. Some grabbers are countries anxious to secure their own future food supplies, such as China, India, Japan and other Asian countries, Saudi Arabia and other Gulf States and Libya. Other land-grabbers are buying and leasing vast tracts of land in Africa as a lucrative investment, or, as one analyst puts it, “an asset like gold, only better”.6 Among them are multinational agribusinesses, and investment houses, such as Goldman Sachs and Morgan Stanley, that cater to the super-rich. Others getting in on the new land rush are energy and mining companies, who greenwash their fuel-guzzling industrial plantation schemes in an attempt to cash in on public goodwill to try to tackle climate change with large-scale production of agrofuels from food crops such as palm oil, sugarcane and maize, or non-food crops such as jatropha. All of these require enormous amounts of water – and fossil fuels that cause climate change – to produce. And this on land that should be in the hands of farming families. Before it set out to re-invent the African farm, did AGRA revisit liberalised trade policies that have suppressed prices for African produce and hurt Africa’s farmers? Did it examine the economic dogma imposed on Africa that destroyed agricultural extension programmes and reduced government spending on agricultural investment, research and infrastructure? Did it do its homework and take stock of the countless studies of the myriad advantages of resilient, holistic, small-scale farms that rely on the sharing of local seed varieties and traditional knowledge and crop/tree diversity and that reduce risks? Did it examine ways to promote and improve these environmentally sustainable systems? Did it pay more than lip service to the landmark study, the International Assessment of Agricultural Knowledge, Science and Technology for Development (IAASTD), carried out by dozens of scientists over many years and initiated by the World Bank itself, which in April 2009 concluded that agro-ecological agriculture by smallholder farmers was the best solution of all? The answer to all of these questions is: No. The experts and billionaires with Big Ideas that are bound to profit multinational agribusinesses, foreign investors, hunger-profiteers and greenwashers – all of whom masquerade as Africa’s saviours and mentors – have already drawn budget lines and battle lines in Africa’s soils, without bothering to inform Africa’s farmers of the intended fate of their land and their livelihoods. By any stretch of the imagination, it’s hardly a fair fight. On one side, many of the richest and most powerful people, institutions and nations on earth, working in alliance with African governments that toe the line. On the other, some of the poorest people on earth, African farmers’ associations and coalitions such as COPAGEN, and NGOs such as GRAIN, Friends of the Earth in Africa and the African Biosafety Network, who are struggling to inform African governments about the high stakes of these schemes that threaten not just their food and seed sovereignty, but the sovereignty of their land and even African nations themselves. These groups would like African leaders to stop believing that wads of foreign cash and Big Ideas are the solution for the continent, and look instead to their own histories, knowledge and resources to promote family farming systems that offer a range of social, economic and environmental advantages over all those imported notions and plans spawned by free-market dogma and riding tsunamis of foreign capital. Put forward as solutions even though – as I learned all those years ago – they are often just very big and very dangerous mistakes for Africa. Joan Baxter is a Canadian journalist and writer who has been reporting on Africa for over two decades. 3 Patrick Piro, “La course aux terres ne faiblit pas”, Politis, No. 1029, 17 September 2009. 4 Javier Blas, “UN warns of food neo-colonialism”, Financial Times, 19 August 2008.